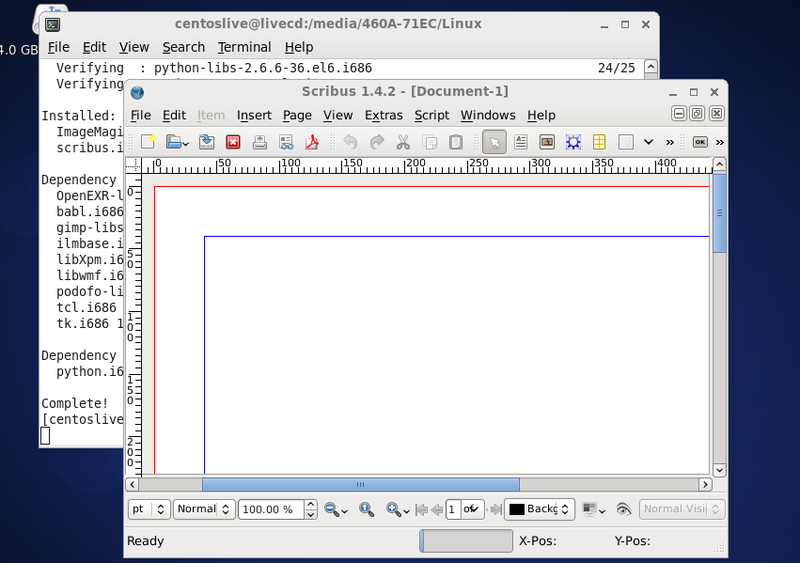 A Desktop Office suite is probably a requirement for the majority of Linux Desktop users and there are now quite a number of applications around, including Open Office, LibreOffice, SoftMaker (proprietary) and others. 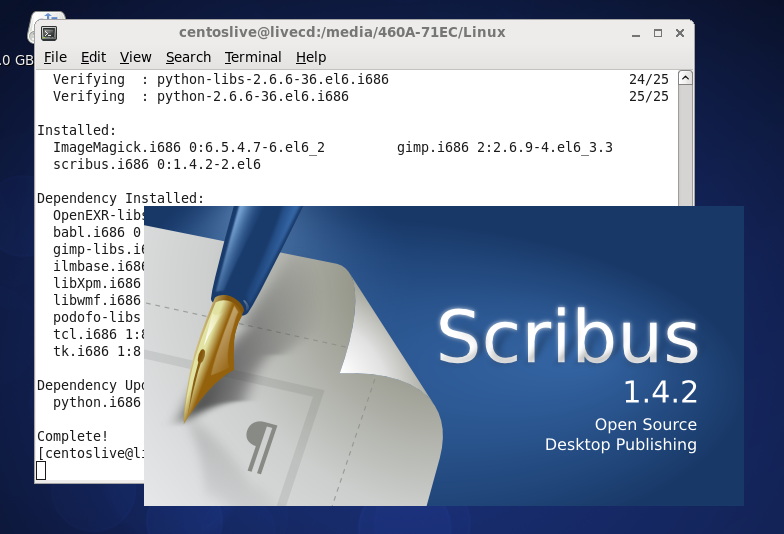 Scribus is Open Source and cross platform, with versions for most of the major systems available, and is distributed free of charge. 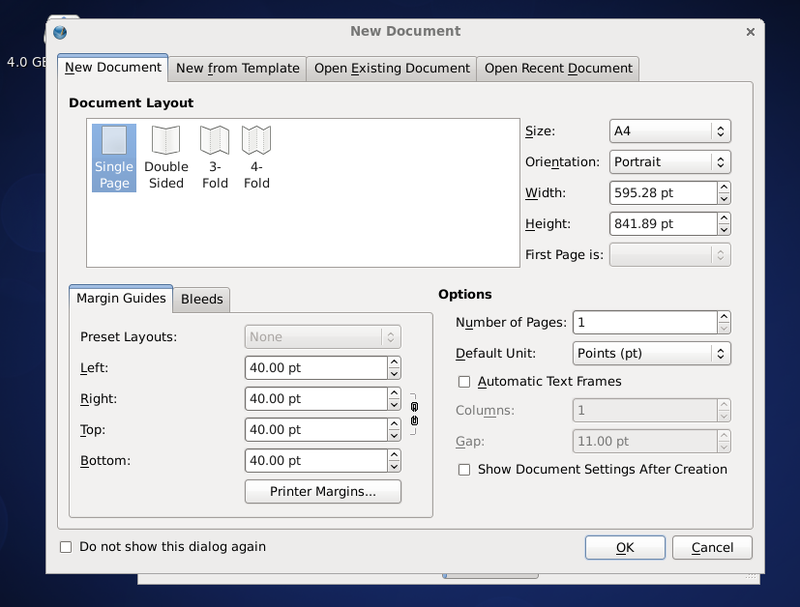 Scribus has a multitude of features including professional grade PDF creation. Other features include layers, transparencies, frames, CMYK and spot colors, ICC profile, EPS, SVG and PDF import,and many other features which can be used to create professional brochures, pamphlets, interactive PDFs (inc field and forms) training manuals and books. There is good support from the Scribus team and community and you can also hire a Scribus trainer if necessary to run through the essential procedures. For Centos 6/RHEL users it is available from the Epel repo and below it is shown tested out on the Centos 6 Live CD, as my usual minimal Fluxbox system is out of action at the moment. To use Scribus first make sure you have the Epel repo enabled, then use yum to install it. The features are easily identified and the user interface is smooth and uncluttered. The user manual is not installed with the Epel installation but there is a comprehensive Wiki available. Fluxbox users should see Fluxbox key bindings for more.